A group of retired NHL players recently announced they are filing a class-action lawsuit against the league. The suit alleges that the league behaved negligently and did not offer the players adequate protection from dangerous concussion-related injuries. 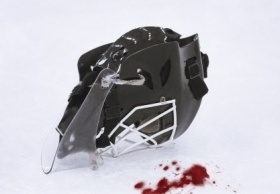 The controversy over concussion-related sports injuries has gotten the most media coverage in relation to the NFL, but professional hockey is also a very dangerous contact sport that puts its players at great risk. The suit will likely hinge on whether or not the NHL was aware of the dangers of concussions, whether or not they did anything about it, and whether or not they let their players know of their findings. Do the players have a chance? It is hard to say before the trial starts, but there are some previous cases to look to for guidance. On August, 29, 2013, the NFL reported it had reached a landmark $765 million settlement with a group of retired players in a suit dealing with concussion-related injuries. Approximately 4,500 former NFL players joined the suit brought by Irell & Manella LLP out of Newport Beach, California. The group of former players alleged that the NFL knew the dangers posed by concussion-related injuries and was negligent in not informing the players. It also accuses the NFL of rushing injured players back into games following a concussion without sufficient care to prevent future injuries, as well as promoting a “culture of violence” that valued fighting on the ice. Individual awards from the settlement would be limited to $5 million for former players with Alzheimer’s disease. Players with chronic traumatic encephalopathy and dementia saw their awards capped at $4 million and $3 million, respectively. Although the settlement was a big victory for former players, it still allowed the NFL to refuse to release internal documents related to their knowledge of concussion-related injuries. The league also scored a victory on a few levels by not admitting wrongdoing, and taking a step towards resolving what had become a huge public relations problem. Judging by the NFL settlement, one should assume a similar outcome from the NHL suit. Unless the circumstances are radically different, the NHL will likely see it to be in their best interests to settle in order to get a large public relations disaster swept under the rug. These suits are important steps towards protecting former and current players from the trauma of concussion-related brain injuries. Are You a Former NFL or NHL Player with a Concussion-Related Brain Injury? Contact the law office of Bruce A. Hagen, Attorney at Law, today for a free initial consultation. We will work with you to get the settlement you deserve!